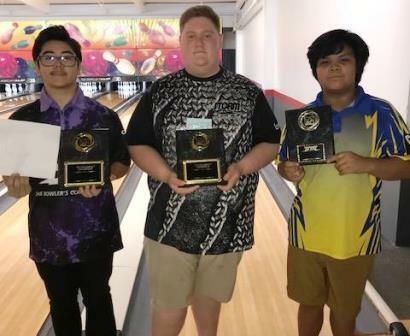 Season 23 of JBT action got off to an exciting start with Ashton Yamasaki and Cody Nathanson claiming titles in Pacific Northwest Conference action at Secoma Lanes. Yamasaki began the stepladder finals with a 235-180 decision over Simon Dyck. He then stopped Isaac Mailkoff 220-180 to reach the title game. 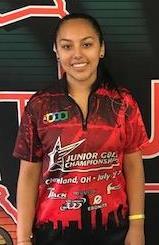 Top seed Makana Wong almost claimed Bowler of the Year last season despite no titles and numerous runner-up finishes, and is obviously looking to erase that anomaly as soon as possible. It wouldn't happen here though, as he got off to a slow start while 14 year-old Yamasaki piled up the strikes. Ashton held on for a 231-217 victory, good for the second title of his JBT career. Derek Haight opened the handicap stepladder finals with a 235-224 win over Liam Hardman. In the next match, Haight missed a 7-pin in the tenth frame, resulting in a 196 tie with Cody Nathanson. In the rolloff, Cody threw a clutch double to win 53-45 and advance. Top seed Cosmo Castellano had been brilliant all day, but Nathanson was able to edge him in the title match by a 209-203 margin, good for his first career JBT title. Castellano did get some revenge in the U17 title match, defeating Hunter Bower 229-223 for that subdivision win. Evan Smith claimed the first Priority Girls subdivision event of the season, beating Jessica Holbrook 191-138 for that win. Big thanks to the team at Secoma for hosting us, and everyone for attending. Want in on all the fun for all ages and averages? Just check out our schedule and come on down!